Sunday is the best racing day of the year. 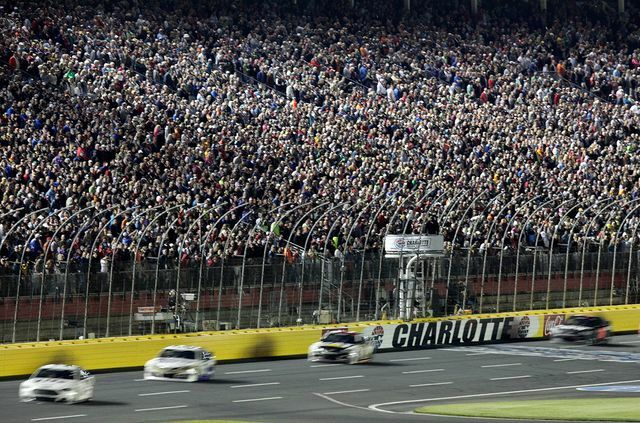 No disrespect to the Daytona 500, but Sunday offers 15 hours of important racing, ending with the Nascar’s version of a marathon: the Coca Cola 600. Looking at the odds, there’s enough that stands out to make the final few hours of this racing marathon well worth watching. Kyle Larson is 20/1. Austin Dillon is 100/1. 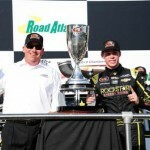 Dillon won the pole at Daytona. 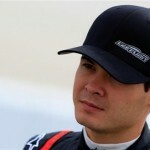 Larson’s teammate won the All-Star race Saturday night. Add this tweet to the mix, and it gets you thinking about an upset Saturday night. I still believe someone will come from nowhere to win a race and mess with the Chase. Charlotte on a Sunday night looks like a really interesting opportunity to cash in on that ticket. Nascar drivers are way better than IRL drivers. Oddsmakers aren’t enamored with anyone’s ability to run 1,100 miles in one day. Oddsmakers are enticing people to bet on Busch with the idea he can’t win at either track. It wouldn’t surprise me if he did better in the Indi 500 than Coke 600 because of this tweet. I wouldn’t pick Busch in either race Sunday, but I’ll watch both because of him. I also think he will make one or both races interesting at the end. Joey Logano is in the pack of favorites at 8/1. 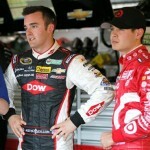 In spite of Saturday night’s awful run, Logano is ahed of Carl Edwards (enticing at 20/1) Tony Stewart and Greg Biffle. Oh yeah, Logano is ahead of Matt Kenseth and Dale Earnhardt Jr. as well. This has gone from isolated trend to really happening. Logano is finally in the midst of becoming an elite driver, at least in the eyes of oddsmakers. 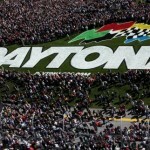 Sunday is a marathon day for all of racing and especially Nascar. Here’s how your favorite driver stacks up. Fuel up for Sunday, and insert a random catchphrase here.